Brighten up the desk or coffee break of someone you know with a Special Edition Milton Keynes mug. With two great designs to choose from you are sure to bring a smile to the face of all who see you drinking from them. 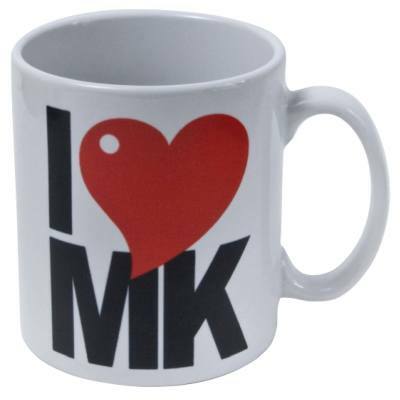 Choose either the 'I Love MK' or the 'Black & White Cow Patern' design for your Milton Keynes Cow Mug.